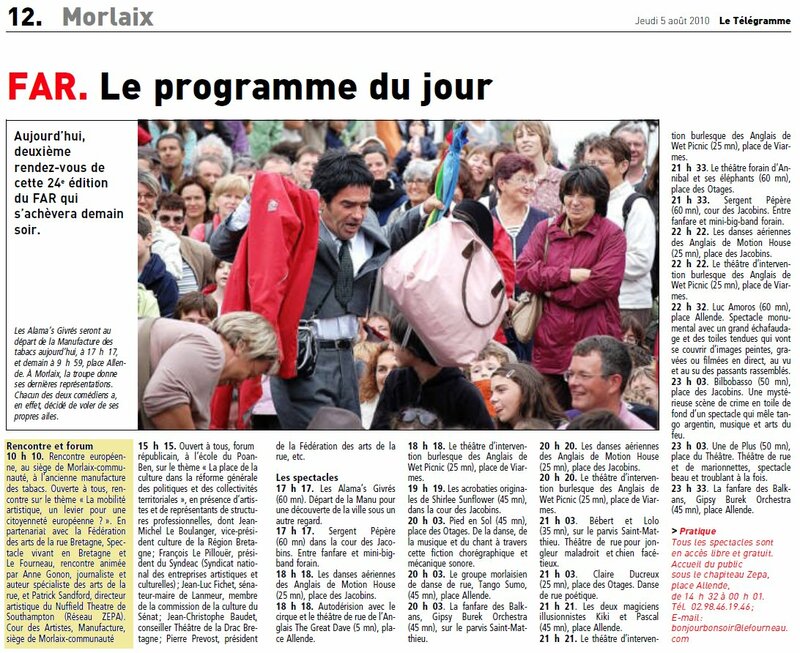 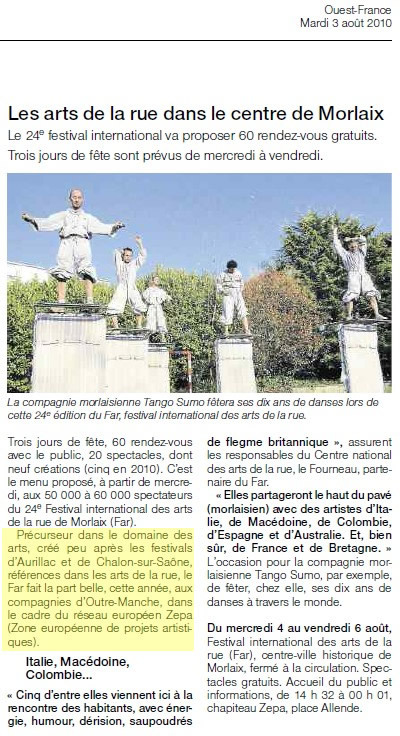 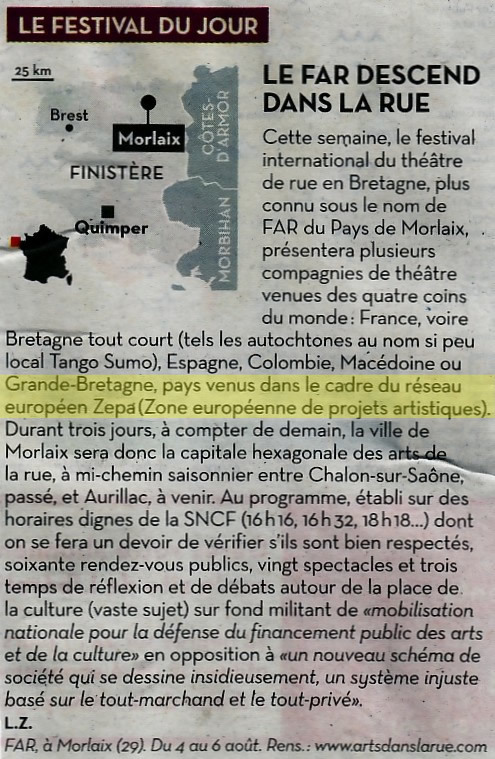 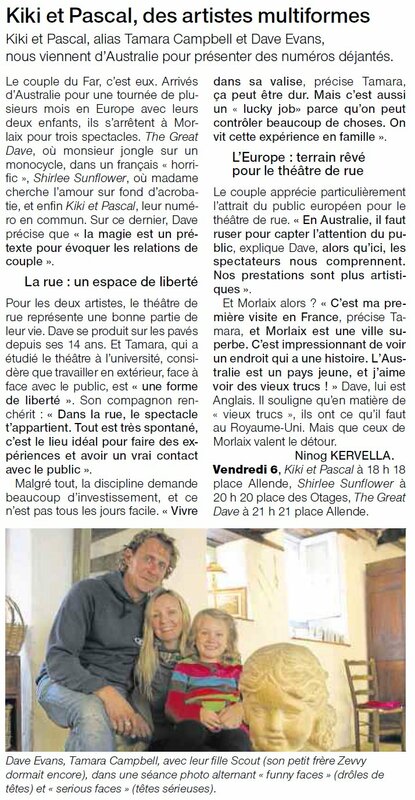 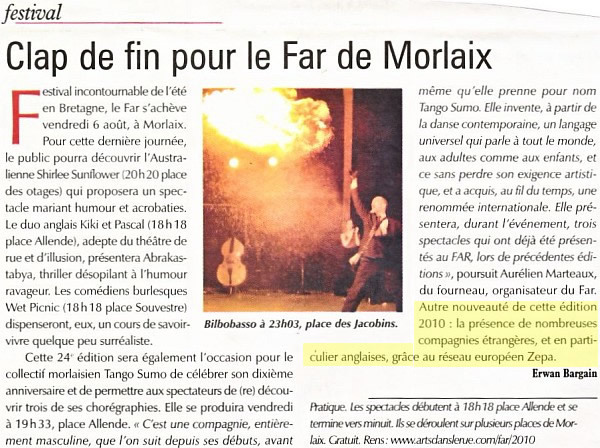 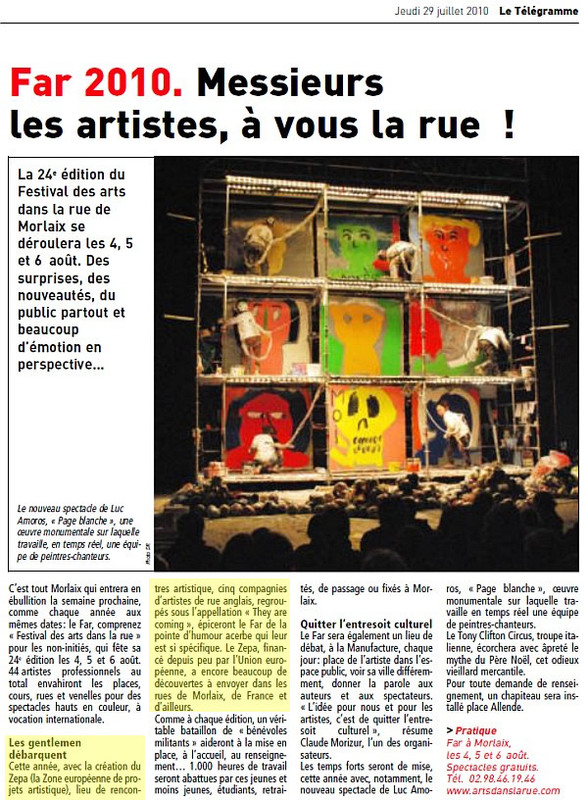 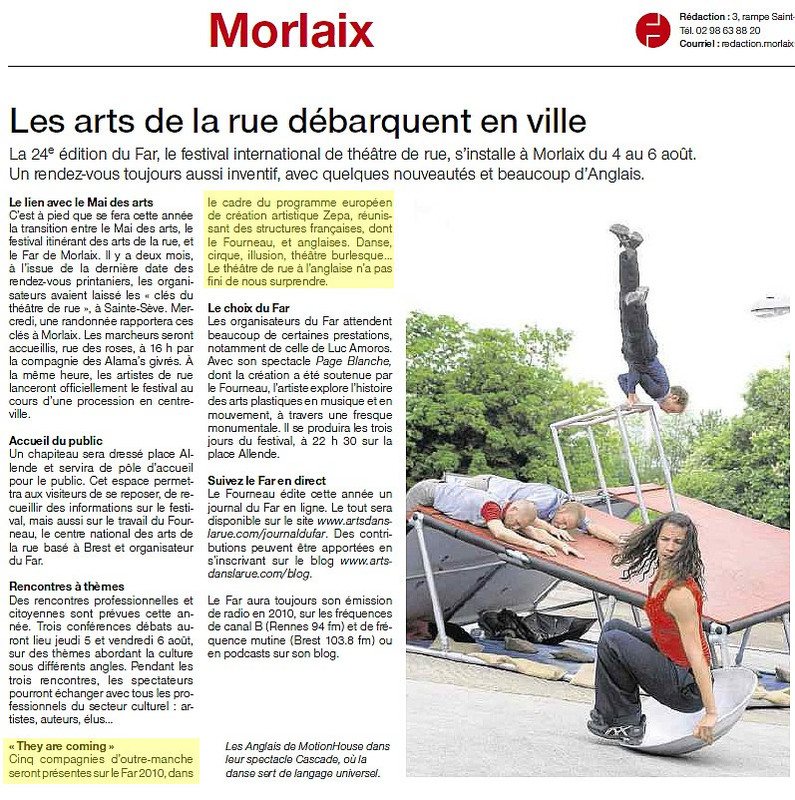 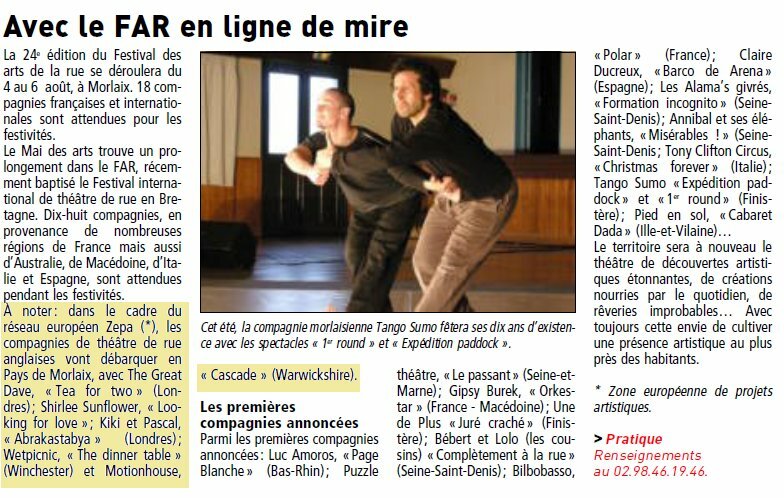 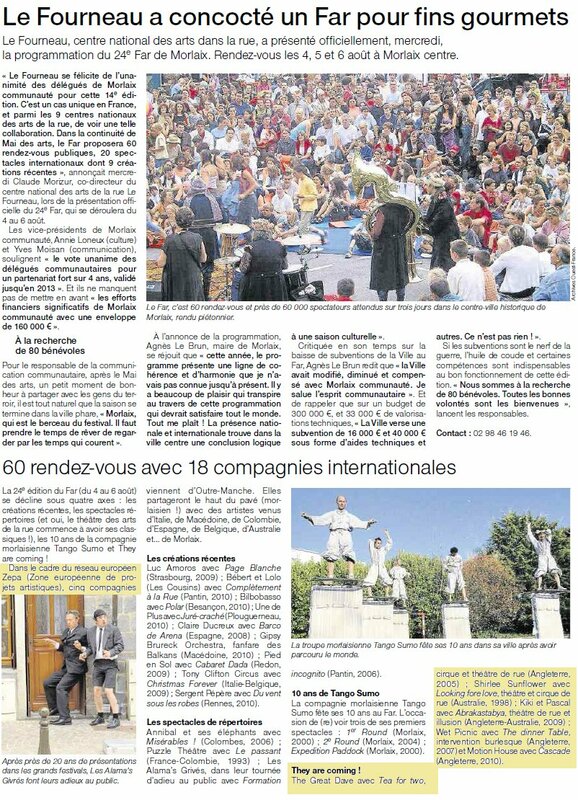 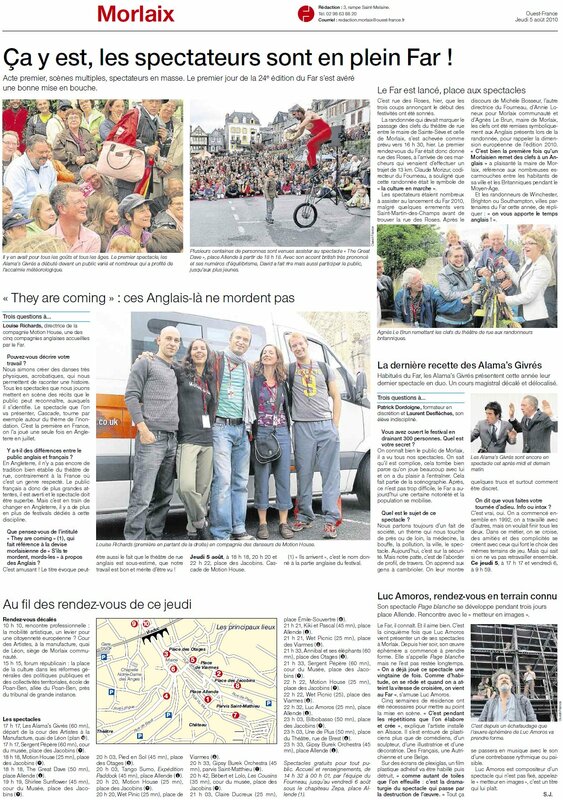 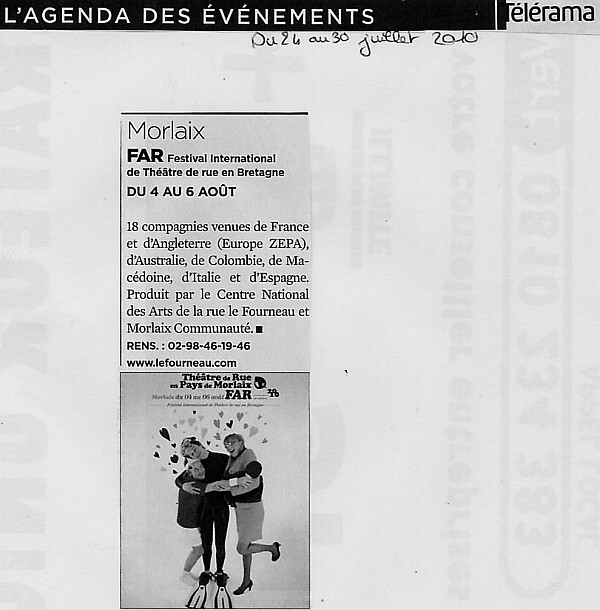 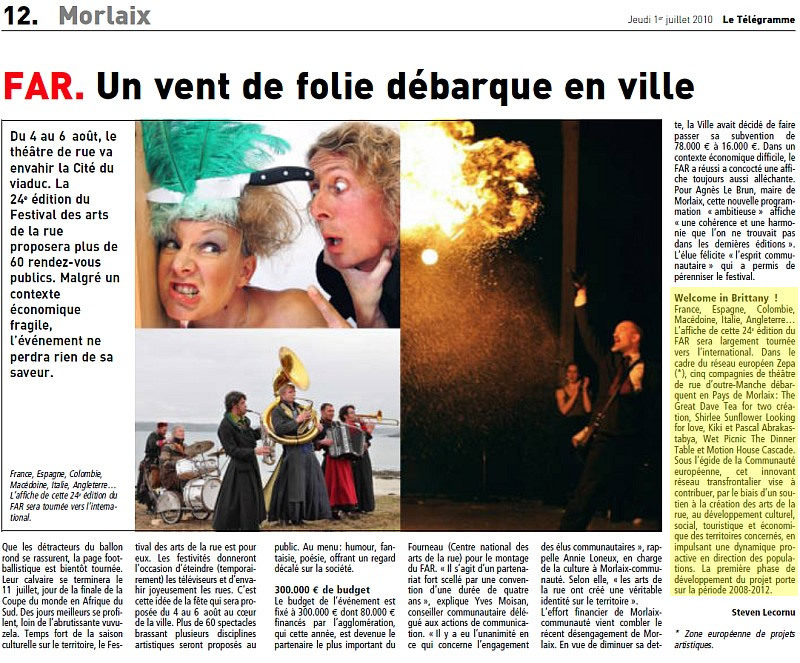 The community breath of Le Mai des Arts du Pays de Morlaix finds a continuation in the FAR, International Festival of Street Theatre in Brittany, gathering thus a whole territory around a common culture : the Street Theatre. 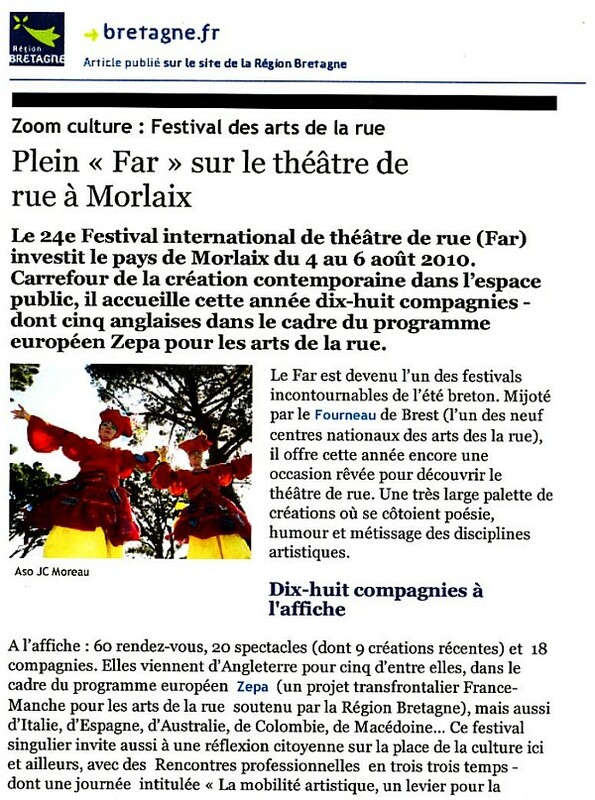 The Pays de Morlaix will again be the theatre of surprising artistic discoveries, creations fed by the everyday life, improbable reveries and craziest desires, always with this will to cultivate an artistic presence as close as possible to inhabitants, to generate sense, to question with strength, humour, poetry or derision the individuals in their everyday life. 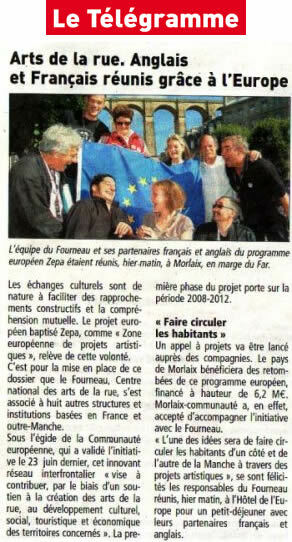 Welcome where we think that it is pleasant to cross each other and to live together : the public place !